These competitors aren’t playing around. 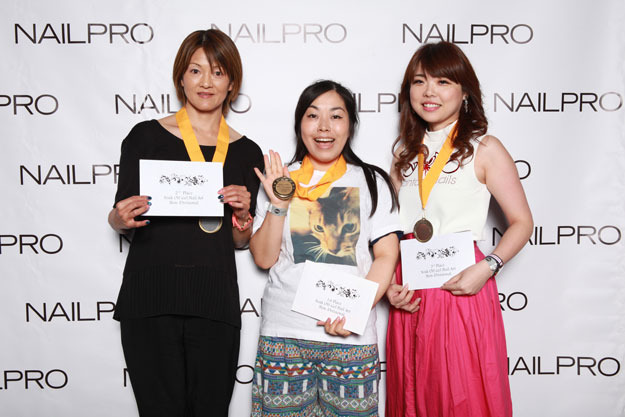 This year’s competition at the NAILPRO Cup was fierce and the nail art fiercer. See the designs, winners, and photos from one of the biggest events of the year. 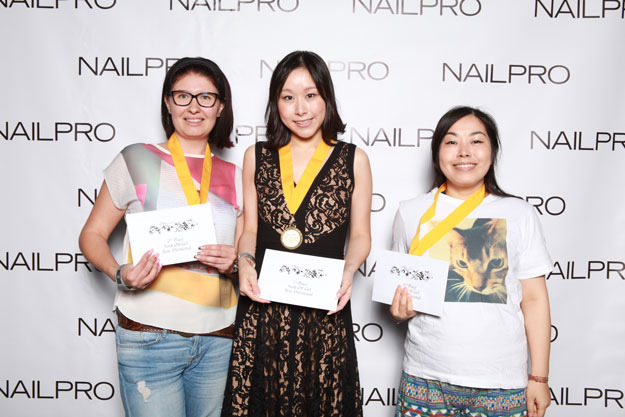 This year, talented nail artists such as Shiori Durham, Allie Baker, Mayumi Hamsaka, and many more came out in droves to compete in our annual NAILPRO Cup Championship. 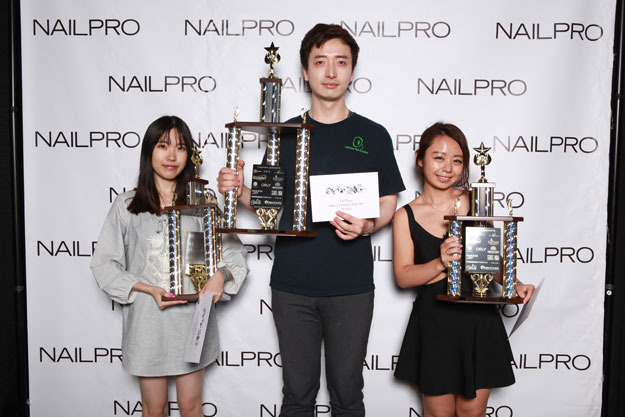 Showcasing their best work alongside veteran and novice competitors, this year’s nail art featured 3D bodybuilder sculptures, entire chess boards and blingin’ nails inspired by Swarovski crystals. 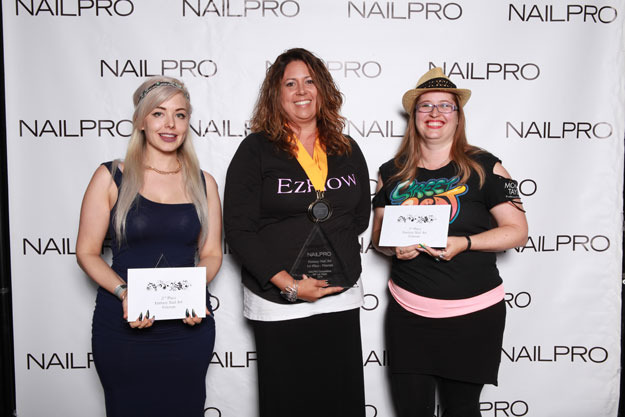 If you missed the grand finale in Las Vegas this year, rest assured that you can still catch the winners and their fantastical looks here. 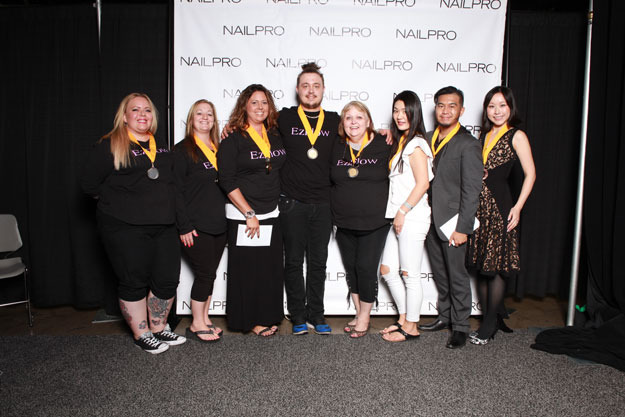 Keep scrolling to see which nail techs took home the gold, silver and bronze in this year’s NAILPRO Cup Championship. 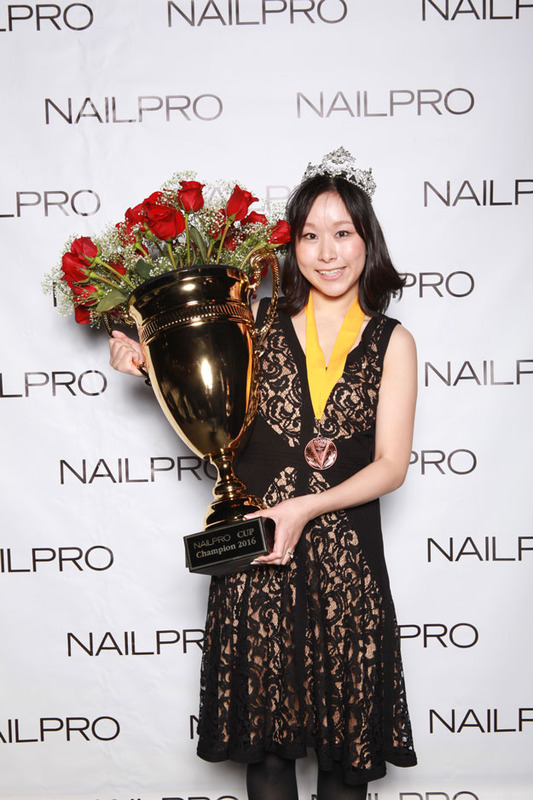 Shiori Durham is no stranger to winning awards. 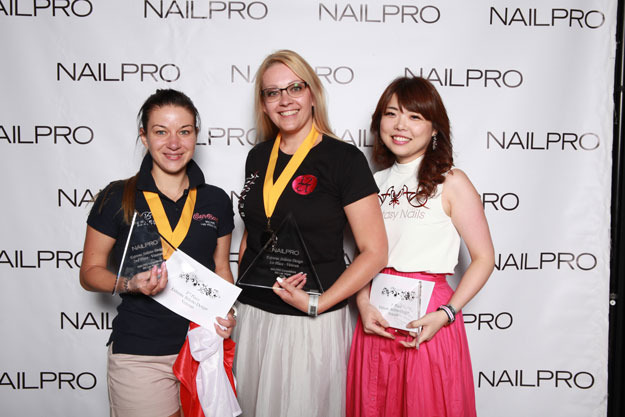 In 2013, this talented artist was crowned the Asia Nail Festival Champion and reprised her role as champion again this year at the NAILPRO Cup. 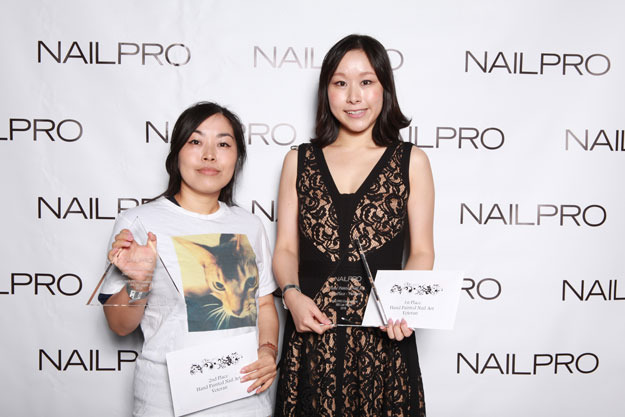 Shiori took home awards in other categories too, such as first place in the Swarovski nail and soak-off gel art categories. Congrats to Team EzFlow for taking home the gold this year! 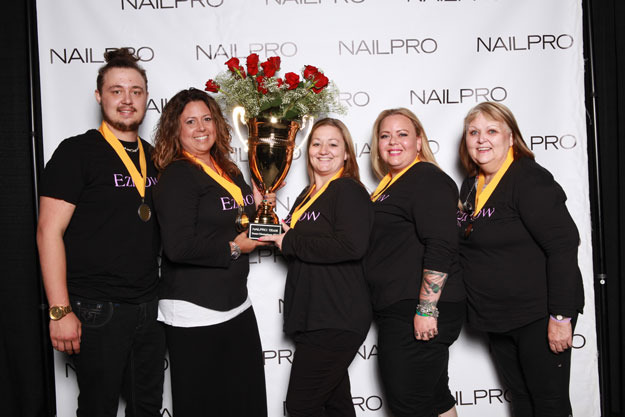 Team EzFlow consists of repeat champ Allie Baker, Jarrett Baker, Nikki Payton, Brenda Skermont and Amanda Lenher. Contestants were asked to create a corresponding gel look in both red and French tip. The results were absolutely fabulous! See images of the contestants final looks here. Soak-Off Gel Art: Roll the Dice! 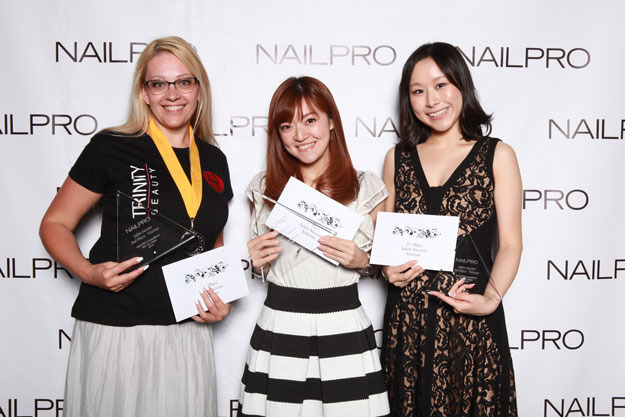 These three winners created innovative, unconventional looks. One of our favorites was Keiko’s which featured fun cartoon-like graphics in bold colors such as orange and green. 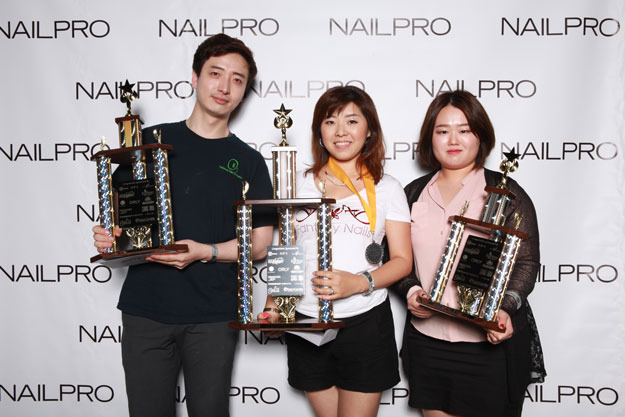 P. Diddy would have been jealous of all the bling being thrown around during the NAILPRO Cup Finale. 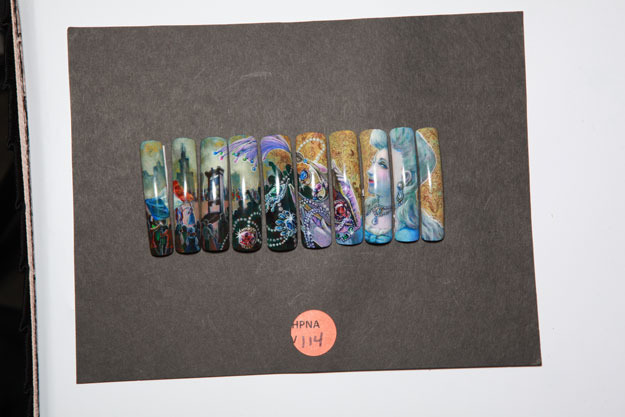 These artists took Swarovski crystals and created intricate, gothic designs on stiletto and oval nails. What happens when two crazy-talented competitors work on one model? Magic! 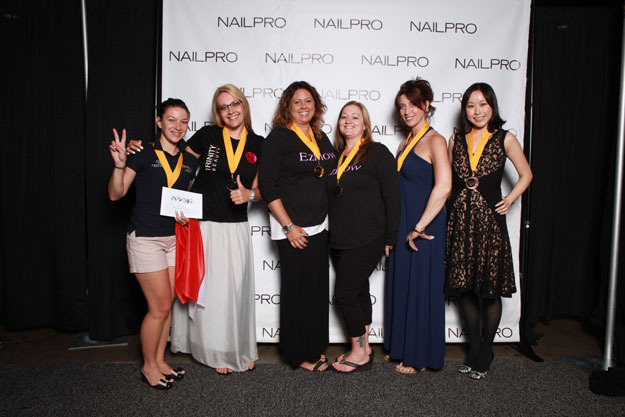 Competitors were asked to create an elongated French tip and while all designs were impeccable, Allie’s and Nikki’s had the oomph to bowl the judges over and win coveted first place. 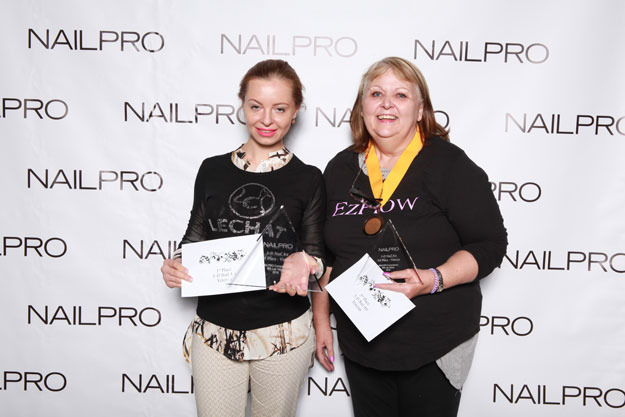 Team EzFlow may have been competing against each other, but the group came away with both first and second place in a ferocious competition where three competitors work on one model. 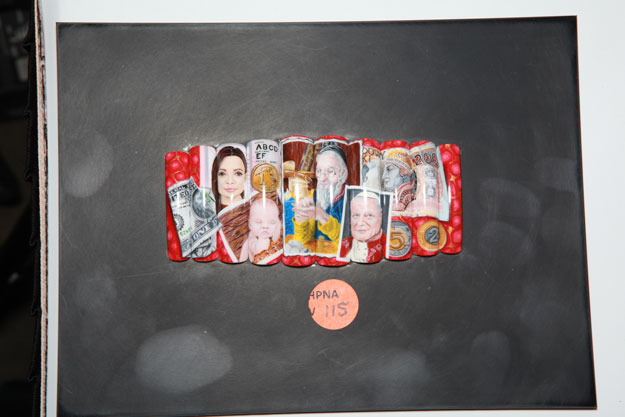 Hand Painted Nail Art: What’s in Your Wallet? For this theme, competitors were split into veteran and novice categories and asked to create a design that’s all about the Benjamins. Featuring everything from Marie Antoinette to lost treasures in the Titanic, this was one of the most stunning themes to watch come to life. 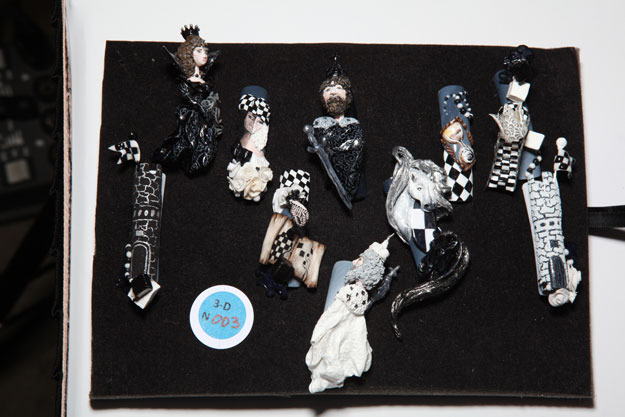 According to Shiori, her design was inspired by a museum display of artifacts found on the sunken Titanic. The two lovers on the nail design were celebrating their newly-wed status when they boarded the Titanic, never to be seen again. Freedom, independence and nail art come together in this beautifully detailed design by Kikuko. Yeah, that’s the Pope on those nails but Maria didn’t just stop there. 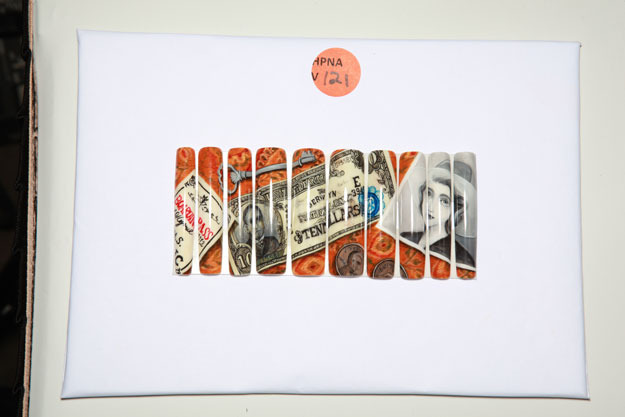 She also drew foreign and American currency as well as other popular figures, both in history and culture. 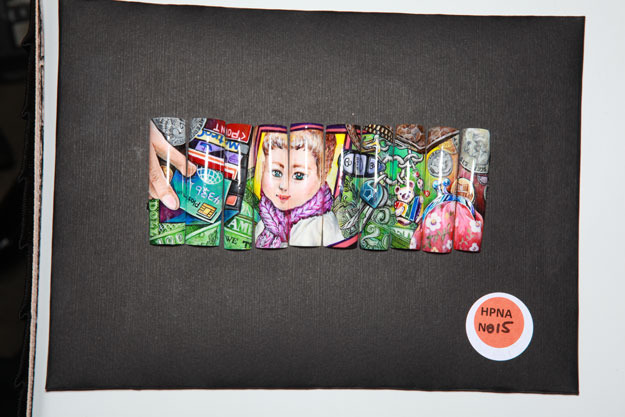 These artists may be novices by name but their skills are anything but! See their creations below. 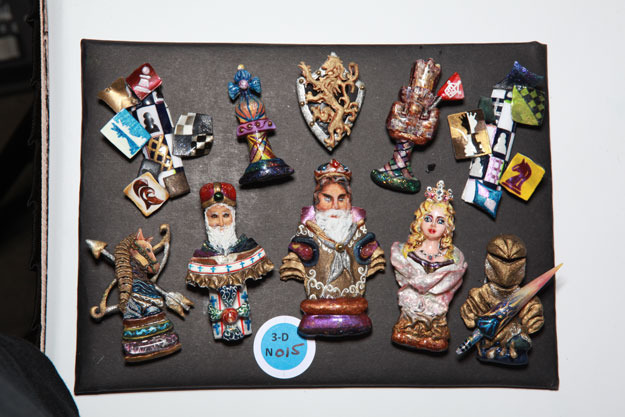 For this theme, competitors created 3D pieces such as actual chess boards and pieces. 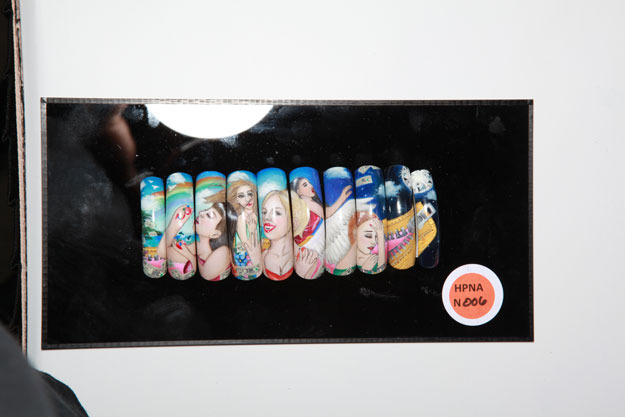 If you can’t get enough 3D nail art, you’ll love the designs below. Anastasiia nailed it with this detailed vista of a king’s court. Her take on the Chess Piece theme was a breath of fresh air; it’s so original and intricate we just can’t tear our eyes away. 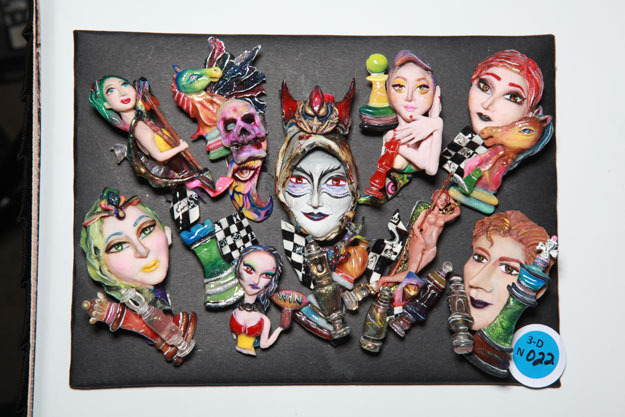 All you’re missing is the board with these designs by Galina. 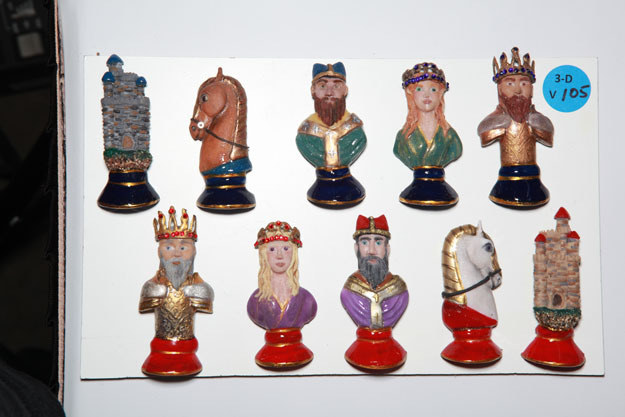 Brenda went the traditionalist route when it came to creating her 3D chess pieces. Can we hear it for her castles? They’re brilliant! Yeonhee’s take on the theme is dark, provocative and alluring, featuring gothic symbols such as skulls, dragons and yeah, a naked woman. Where everyone else went ham on the colors (the more, the merrier! ), Croitoru’s approach to the theme was minimalist and elegant. The black and white color scheme stands out in a sea of vibrancy. If you’re into both bodybuilding and nails this may be the only time we find a connection between the two. 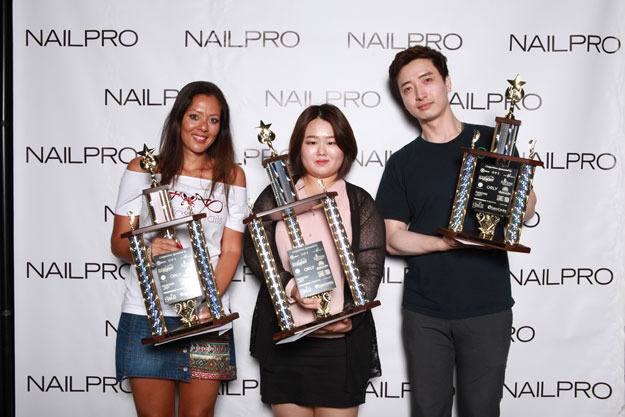 The theme for this year’s Fantasy Nail Art challenge was bodybuilders meaning lots of pecs, lots of sweat and a little Frankenstein, courtesy of Sandy Borges. We’re talking Christian Louboutin extreme for this challenge. 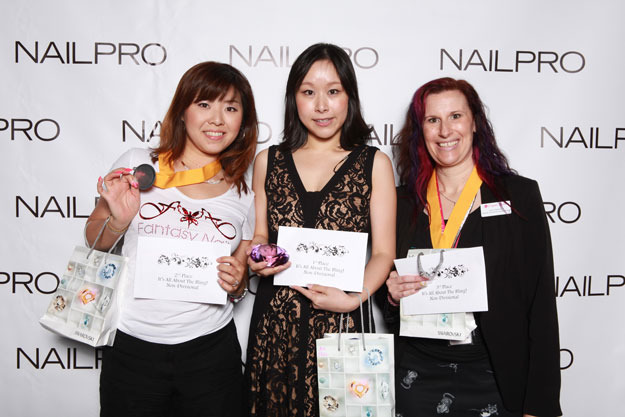 Contestants created their pointiest stiletto tips for the judges in looks that wowed, inspired and dazzled. See the competitors’ entries here. 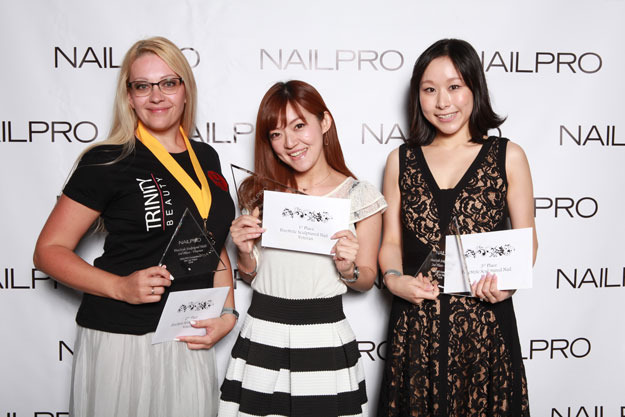 The 5 Style Sculptured competition requires you take everything you know about nail shapes and throw them out the window. For this style, competitors were asked to create a polygon-like shape featuring a 5-pointed tip. Think it’s easy? 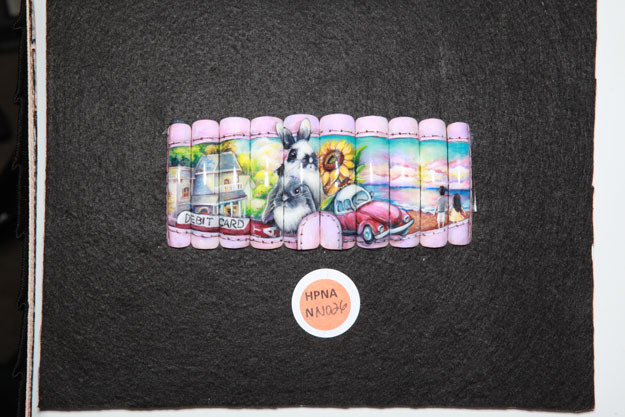 It’s anything but, but these artists made it look like a piece of cake. 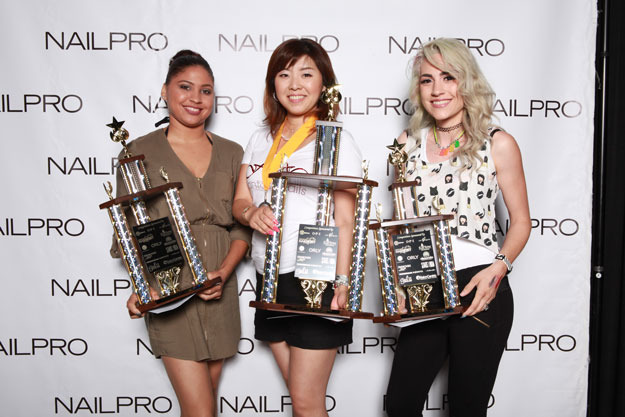 NAILPRO Cup contestants never cease to amaze us with their creativity and this year was no exception. If you’re interested in competing, read the entry rules here.